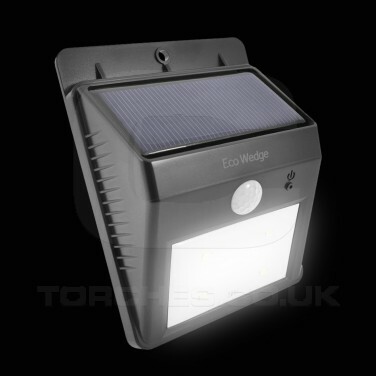 A solar powered motion sensor light, the Eco Wedge solar light is just the thing to place next to external doors to help guide you at night. 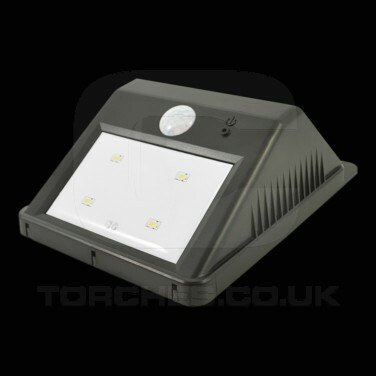 The Eco Wedge detects movement within a 3m range shining with superbright LEDs for 30 seconds at at time, long enough to guide you to the door or to highlight keyholes. 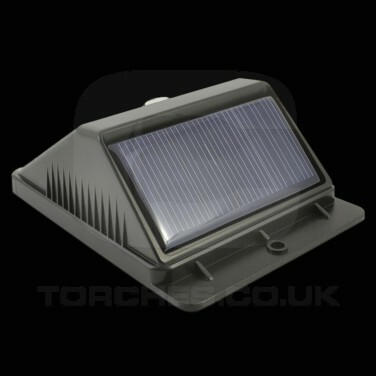 Designed to receive maxim,um exposure to sunlight, the angled solar panel makes this wall mounted solar light useable all year round, even during notoriously dull British winters. 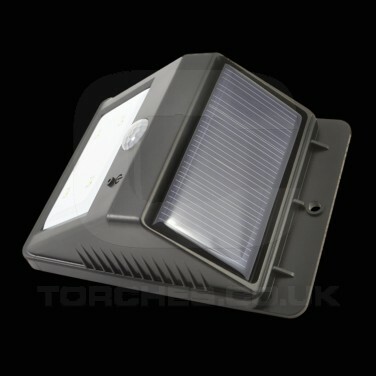 Easy to install, being solar powered, there's no need for wiring or batteries, simply screw into the desired position for instant PIR lighting.